I love to read and I would be happy to review your book. 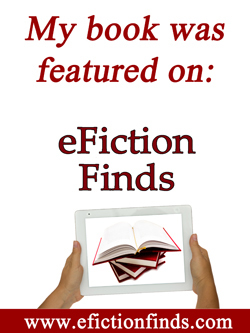 I prefer fiction but I also review non-fiction and my reviews are honest. I do not review books with graphic sexuality, language or violence. If you want me to review your book, please email first (fullquiverpublishing(at)gmail dot com) to make sure I have the time to review your book. I prefer gift Kindle copies. If you need a digital Kindle version for Amazon’s KDP (Kindle Digital Press) Program, I’d be happy to help. Contact fullquiverpublishing(at)gmail dot com for more information. Check out Full Quiver’s website to see a fraction of the book covers he’s designed. I would love to get a review copy of your upcoming book. Also, in June I usually do a fiction roundup, and I would be interested in your fiction works as well. Thanks so much! Hello Nancy…I’d be glad to send you review copies of all my books, new and old, if you’d like. I can send PDF copies of everything and/or hard copies as well. Email me at info@fullquiverpublishing.com and send me your email address for PDF copies or postal address for hard copies. If you have a Kindle, I can also send Kindle copies of my novels. Hope this helps! Thanks so much for your note! I bought Stealing Jenny on Ibooks recently and devoured it but it looks like its not on sale there anymore. I was hoping to get Emily’s Hope there as well. Do you know if the Ibook store will have it one day? I just finnished reading “Stealing Jenny.” Thank you. Excellent book. I appreciate your research. I did an Amazon review of the book. Thank you so much, Bro. Joshua! I appreciate it very much! God bless you! I nominated you for the Inspiring Blog Award. To accept it, follow this link: http://katherinegivens1.wordpress.com/2012/06/07/inspiring-blog-award/. Ellen, I just joined the CWG. How does it work? I sent in my registration and dues, but I’m uncertain as to when/how I can access the member benefits. Before officially registering, I browsed the website but (of course) couldn’t access anything. I wasn’t sure if I needed to wait for a confirmation of some sort or…? Any help you can offer would be greatly appreciated! My email is jeannie[dot]ewing07[at]gmail.com. I just finished “In Name Only”, and I want to thank you for an excellent story that expressed your Catholic faith so well. As a fellow believer in Jesus Christ, I have chosen to worship at a Baptist church, but I have always believed that there are fellow Christians in any church that preaches Jesus’ virgin birth, death, burial and resurrection, with Jesus’ blood able to wash all sins away if we repent and accept His free gift of eternal life. Woven into your story are elements of your faith that I have misunderstood, yet you demonstrated them through your characters in such a way that I understood the rationale and possibly even the spiritual application of the practice. ( ex: praying to saints, confession). Again, thank you for a well written story that encouraged my faith and helped me to understand your faithful practices better.